chrissstttiiine: william, it was really nothing. william, it was really nothing. William once told me a few years ago that although he has a huge hat collection, he tends to steer towards just a couple. I thought I'd never turn out that way because its just simply more fun exploiting your options. Little did I know, he was completely right. You become fond, and it's hard to look past your favorite. You look so pretty here. AND you're smiling :). 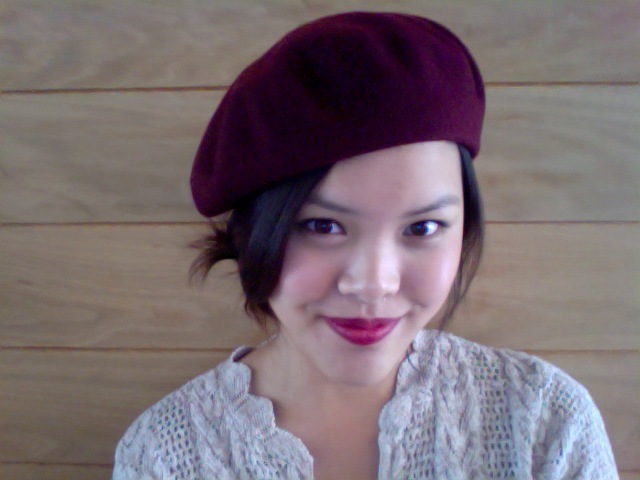 I do like the red/wine beret you wear often. I'm definitely going through a wine color phase, so this hat is amazing. You look so fresh!